Just regular folks. : Trick or treating! 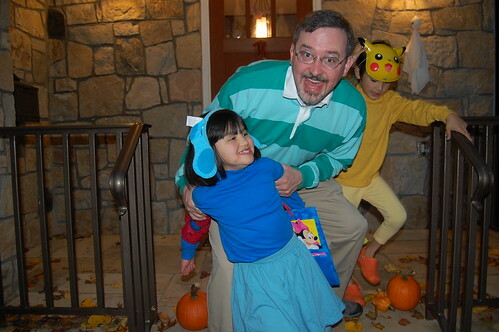 Steve, Blue and Pikachu headed out for a night of trick-or-treating! 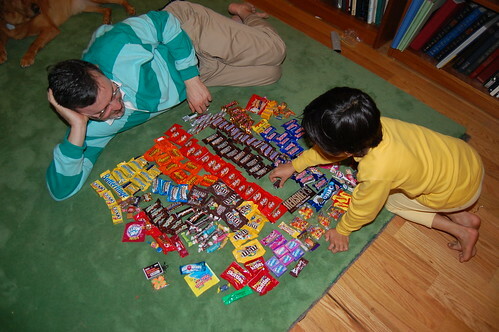 Here are the boys counting their loot. Edda is out cold. 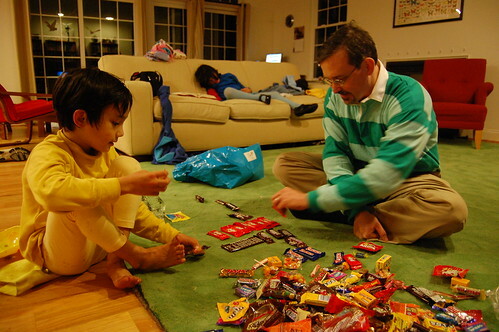 Right now, Jeremy and Vince are collecting data to make a graph of types of candy. Chocolate is up, other sweets like sweet tarts and skittles are down.